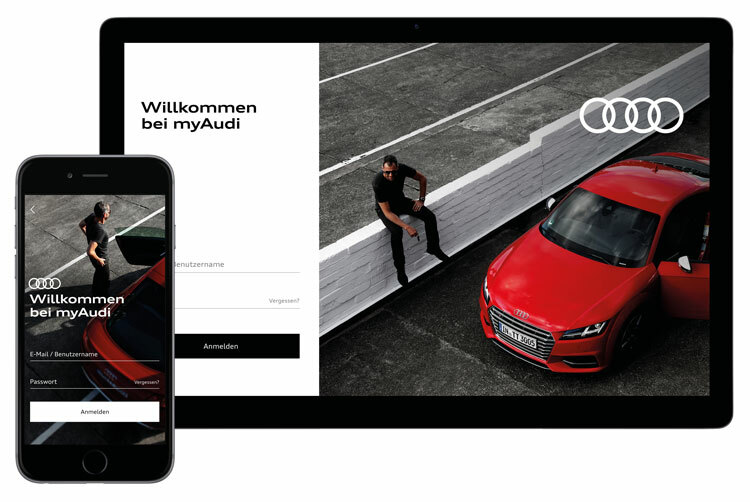 German car company Audi recently revealed a rebrand to improve its digital presence and online user experience; now, it is launching an interactive tool that encourages people to play with and test out the branding, in a bid to make design guidelines “more accessible”. 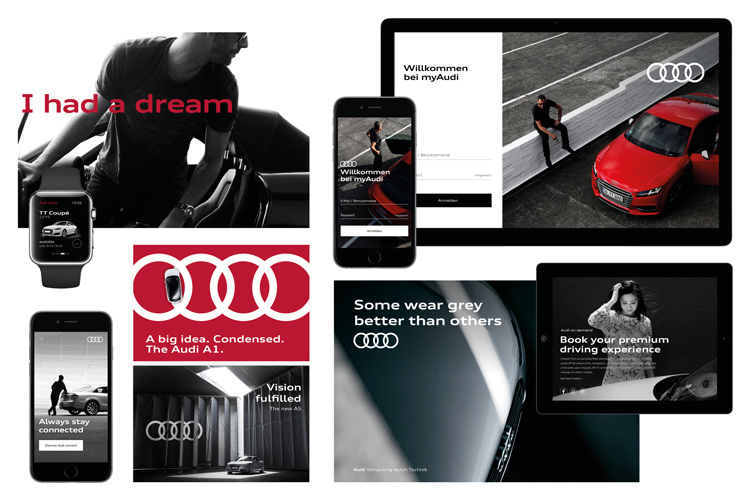 Audi has made the brand guidelines for its new visual identity, which was launched last year, freely available to the public in a bid to be “open” and “accessible to everyone”. The German car company was given a new visual identity in 2017, which aimed to make it a “digital-first” brand, and help it function better across online platforms, including in-car interfaces. German-based design consultancy Strichpunkt completed the rebrand, and aimed for the new look to be “simple, clear and intuitive” for Audi users. Strichpunkt worked with another German studio, KMS Team, on the project. Alongside the new identity, Strichpunkt designed a brand site for Audi, which makes the design guidelines for the rebrand freely accessible online, running through everything from typography, icons and the size ratio of type and imagery to the html code needed to create different digital components. Now, Strichpunkt is set to launch an interactive tool on the sub-site that will let users mock-up Audi-inspired designs, setting type, backgrounds and colours. The tool will then tell them if their mock-ups sit well within the Audi design principles and guidelines. 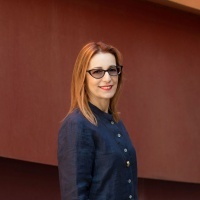 The aim of the new tool is to make design guidelines “more approachable” for the public, says Strichpunkt, while making Audi’s visual identity “accessible to everyone”. “It is an innovation in the automotive industry, and a symbol of new open-ness,” the studio says. 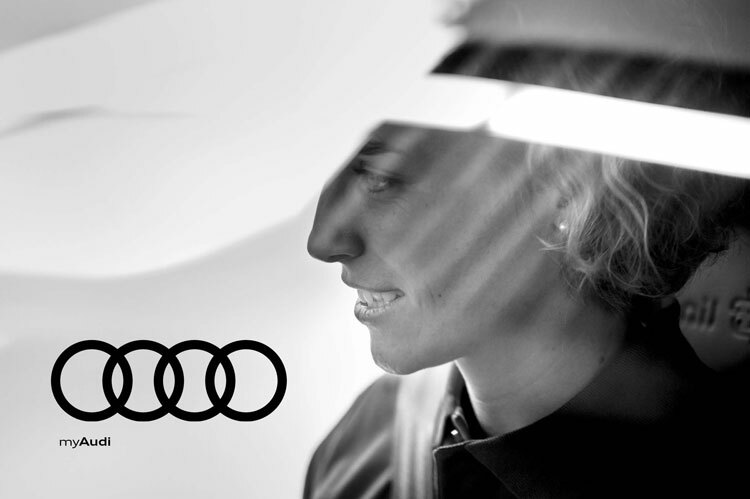 Audi’s “digital-first” identity first launched last April and features a stripped-back redesign of the long-standing “four rings” Audi logo, which is now a flat graphic set in either black or white, and is used without the brand name underneath it. 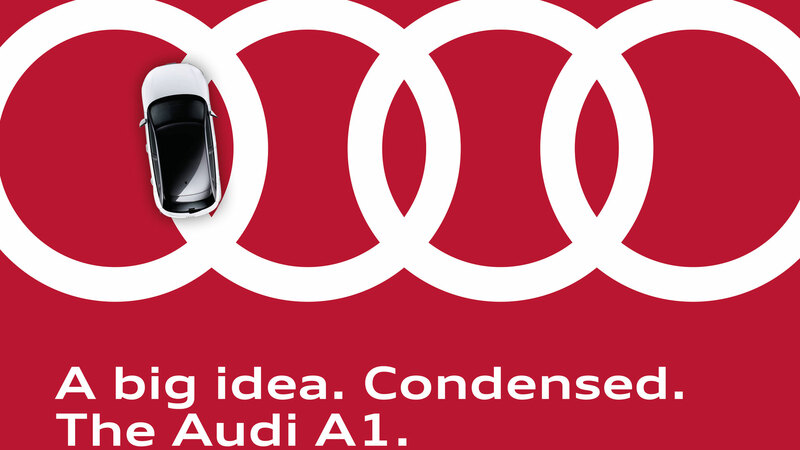 A new “flexible” typeface family called Audi Type has been incorporated, says Strichpunkt, alongside the “simple” and “powerful” refreshed logo, and a palette of five core colours; white, black, red, aluminium silver and warm silver. 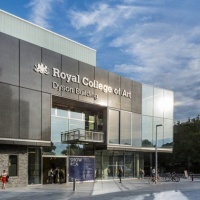 A suite of line-drawn icons has also been incorporated for two main uses; to represent content on the website and app, and to represent different functions on digital screens within cars. Some icons aim to help users navigate their personal online profiles, such as a car symbol to represent “service” and a person symbol to represent “profile”. Others indicate different uses within the car, such as speedometer, car-seat and warning light symbols. The suite has been inspired by the “precise technical drawings” designed when developing Audi’s cars, says Strichpunckt, and have been drawn with “detail and precision”. 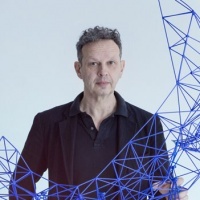 The physical movement of Audi cars has also been used to inform the movement of animated content used on digital interfaces within cars and in brand films. An S-shaped curve pattern has been developed, which represents “powerful acceleration at the start, and swift deceleration at the end”, adds Strichpunkt. The identity, which continues to roll out and evolve, aims to give the Audi brand more “freedom” and “space to breathe” with its simplified logo, colour palette and sans-serif typeface, and create “consistency” across its digital platforms, says the studio. The refreshed, “digital-first” look also aims to represent how the design of cars is becoming increasingly high-tech, with the likes of self-driving vehicles, and also how people’s browsing and buying habits have shifted online. Audi estimates that it will make half of its profits from digital car sales by 2020. 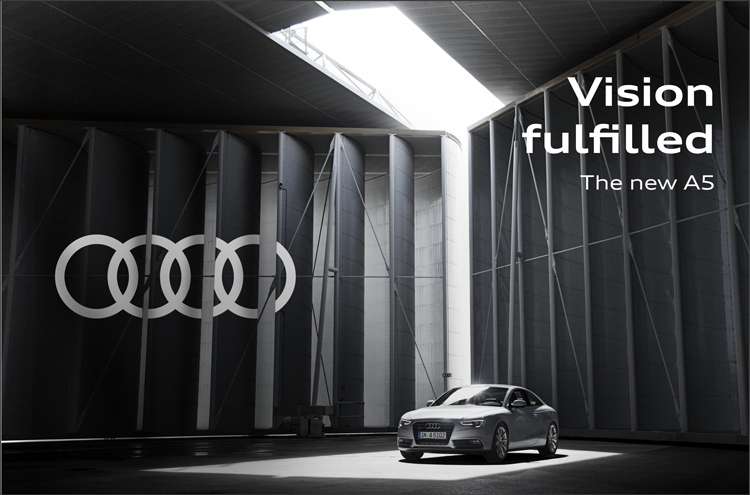 The branding continues to roll out across all online platforms such as Audi’s website and app, marketing materials including promotional films, and on new in-car displays. It will “constantly adapt to technological progress and new digital channels,” says Strichpunkt. 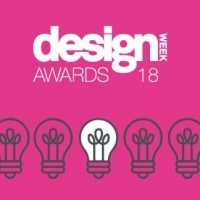 The new interactive, online design tool is set to launch in the coming months. I own an Audi that runs on diesel. When that first word “HONESTY” pops up, I felt a pain on my side. Ignoring past planned mistakes is pure hubris. If they want to speak to me as a current and future loyal customer. Be honest, period. If they had said “RENEWED HONESTY” or “RENEWED TRUST” that would have been enough. 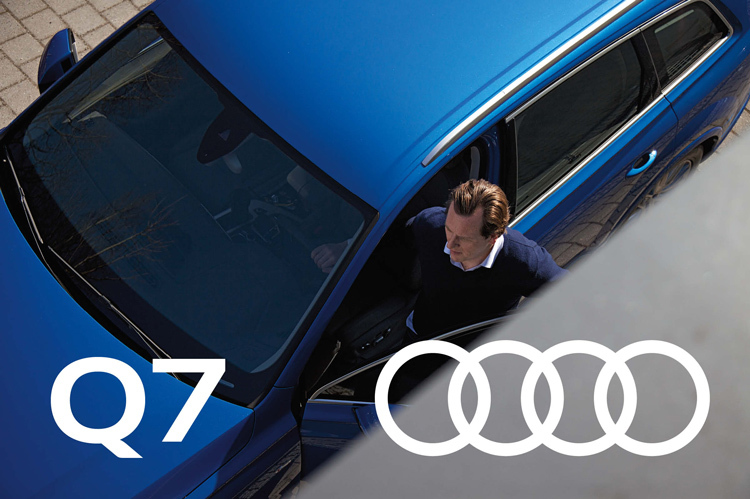 If Audi customers are above the average, then don’t treat them as if they have goldfish memory spans.